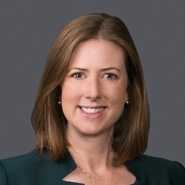 June 1, 2017 (Chicago, IL) — Hawkins Parnell & Young, a national litigation firm, is pleased to announce Catherine E. Goldhaber has joined the firm as partner-in-charge of HPY’s Chicago office. Goldhaber brings more than 15 years of experience defending claims related to product liability, exposure to toxic substances and transportation-related injuries. Her arrival brings HPY’s total number of Illinois-lawyers to 25. Goldhaber joins a group of more than 100 attorneys that defend clients in toxic tort litigation as national coordinating counsel and trial counsel. The group boasts over 500 years of combined trial experience, including taking over 400 cases to verdict as lead counsel and taking the lead or participating in over 10,000 fact and expert witness depositions. Goldhaber handles matters directly in Illinois and Michigan and manages multi-state litigation as national coordinating counsel and trial counsel. She advises clients in Medicare Secondary Payer issues, particularly as issues arise throughout discovery and in resolution of claims. Prior to joining HPY, Goldhaber was a shareholder at national litigation firm based in Chicago and served as Chair of their Pro Bono and Public Service Committee from 2011 to 2016. Before entering private practice, she served as an Assistant State's Attorney for Cook County, Illinois. Goldhaber received her undergraduate degree from Michigan State University in 1995 and her law degree from Loyola University Chicago School of Law in 1999.